Yummy! 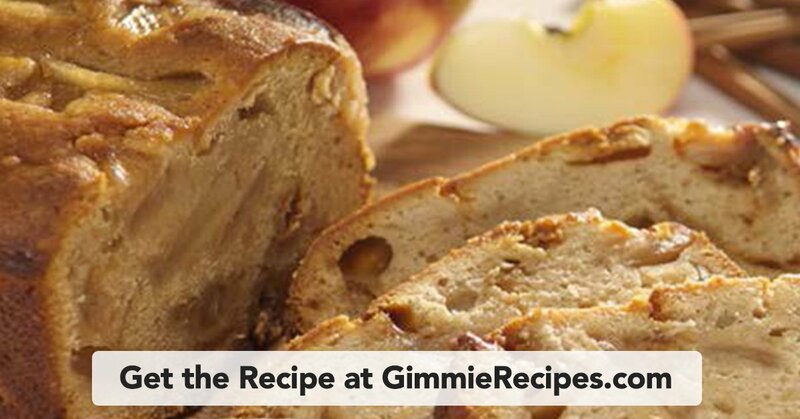 Combine Pumpkin Spice and Caramel in this delicious bread featuring Werther's! Grease and flour a 9“ x 5“ inch loaf pan. Set aside. Cut caramels into four pieces using a kitchen scissors. Toss with 2 T. of the flour in a small bowl to prevent them from sticking together. Set aside. Snip the apple slices in the pie filling into thirds. Using an electric mixer beat the butter, sugar and vanilla until fluffy. In another bowl, stir together the remaining flour and spices. Using a wooden spoon, stir in the apples and caramel pieces. Pour into the prepared loaf pan. Bake for 1 hour and 30 minutes, or until a toothpick inserted into the centers comes out clean. Cool completely on a wire rack and then remove from pan.